THERE IS GOING TO BE AN ATTACKTractors formed an important part of the army equipment in France. 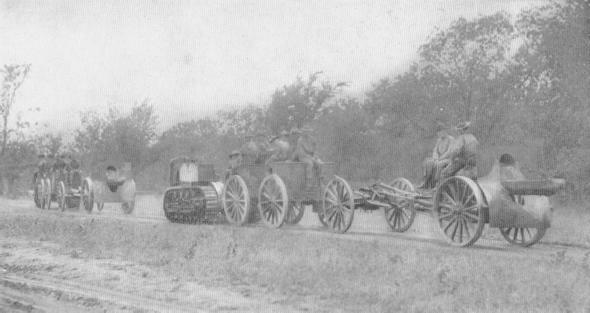 The picture shows tractors hauling American cannoneers and French 155 mm. guns along an apparently peaceful road. These tractors were made in France. Why! 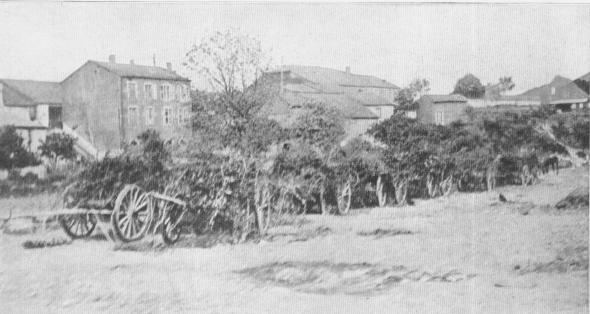 HIDDEN FROM ENEMY AIR OBSERVERSAmerican artillery, well camouflaged, passing through Menil-la-Tour, France, en route to the Hindenburg Line. The picture reminds one of the line from Shakespeare's Macbeth--"Till Birnam Wood remove to Dunsinane."